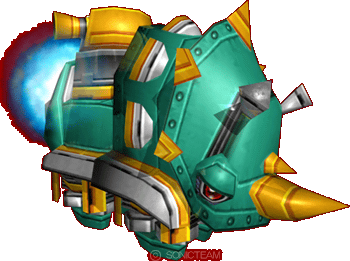 Rhino Liners, are enemies found in Sonic Heroes. They appear to be based off the Rhinotank. Rhino Liners are only found in Rail Canyon, Bullet Station, Mystic Mansion, and Robot Storm. Rhino Liners are speedy robots that run along a railroad track. The player must always be cautious when grinding on a rail with a Rhino Liner on it as they can be knocked of the rail and fall to their demise. The best way to destroy a Rhino Liner is with Thunder Shoot. Some Rhino Liners will drop spike balls from behind them which can knock players off rails. This page was last edited on 27 October 2011, at 15:20.